The Continuum South Tower condo contains 318 units in the form on One, Two, Three and Four bedroom condos ranging from 1,201 to 5,438 feet. Architect Fullerton-Diaz, developer Bruce Eichner and builder Turner Construction completed the project in 2002. Luxury waterfront condominium in Miami Florida $1.3 billion project, an extraordinary modern trident structure, is home to signature designs by Yoo inspired by Starck, for which international design magnate Philippe Starck is creative director and shareholder. 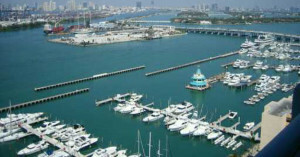 The Murano at Portofino is luxury condo located on the south tip of South Pointe in Miami Beach and resides in the South of Fifth area. 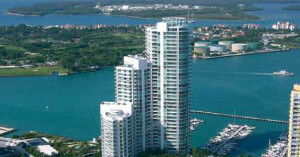 This condo have bay frontage and unobstructed views of downtown Miami, Fisher Island and Biscayne Bay. Murano Grande in Miami Beach is one of the newest and most luxurious water front Condo residences in South Beach, located in the up-to-the-minute South of Fifth street district of SOBE, This condo features an interior of floor-to-ceiling walls of complete glass which allows for a fabulous view of the Miami’s beaches and crystal blue water. Round-the-clock concierge, available for every possible need. Expansive pool facing the ocean and whirlpool spa, surrounded by a stone deck. Wrap-around balconies in select residences. 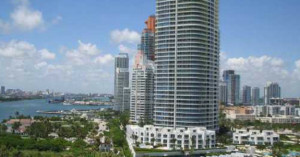 The Portofino Tower Miami Beach Florida is 44 stores which offers 1, 2, 3, and 4 bedroom residences plus sumptuous penthouses. 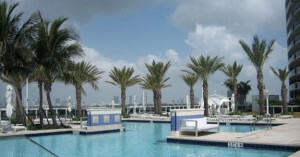 The Portofino offers breathtaking views of the Atlantic Ocean, Downtown Miami, and the Bay. The tower provides it’s residents with world class amenities. 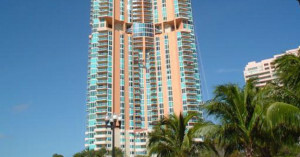 Is one of South Beach’s best priced luxury buildings. It sits on Biscayne Bay at South Beach’s famous South Pointe, and is a full-service luxury condo that makes an ideal place to live. 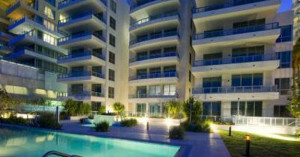 It also has a somewhat-modest rental policy, many buyers choose to rent out their units seasonally, when not in use.